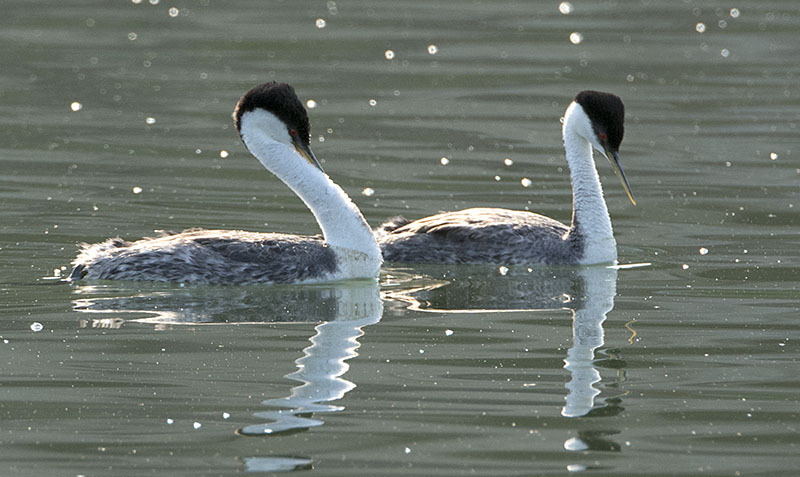 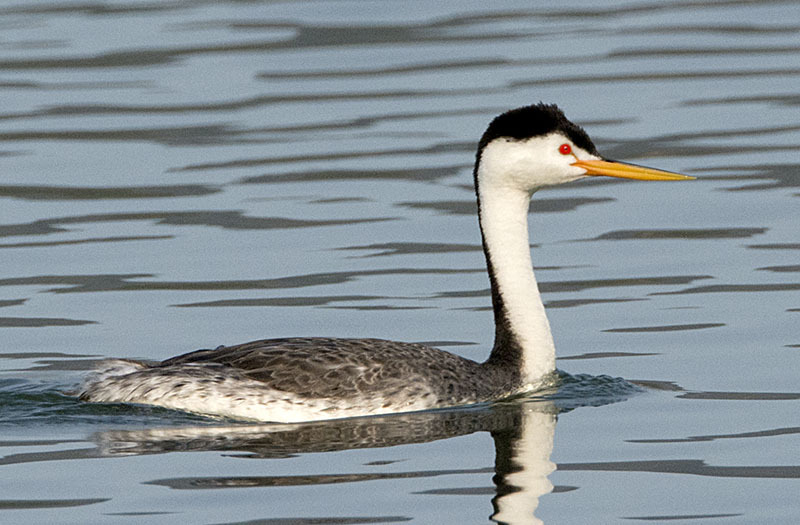 Clark's Grebe #10 - Once thought to be the same species, the lighter colored Clark's Grebe was split from the darker Western Grebe. 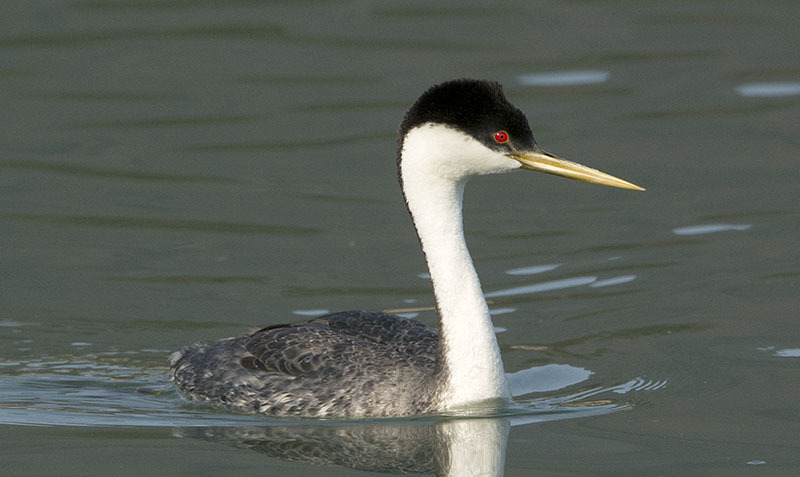 Western Grebe #22 - ...while the dusky straw colored bill and black around the eye identify the Western Grebe. 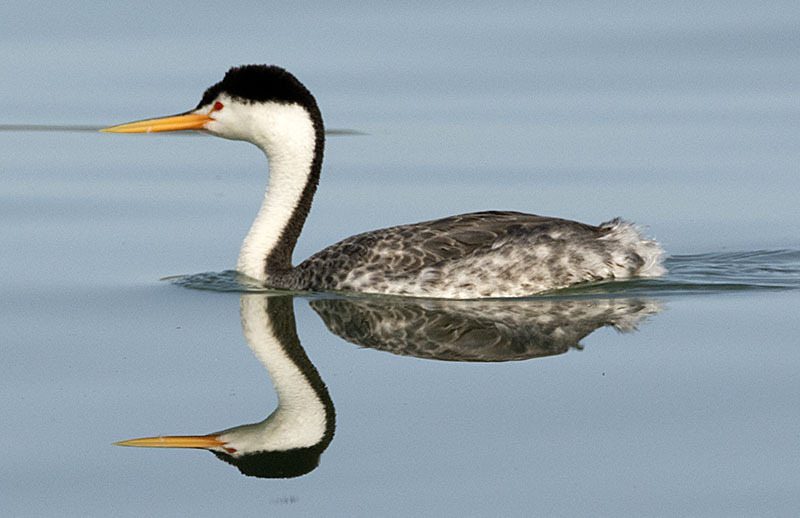 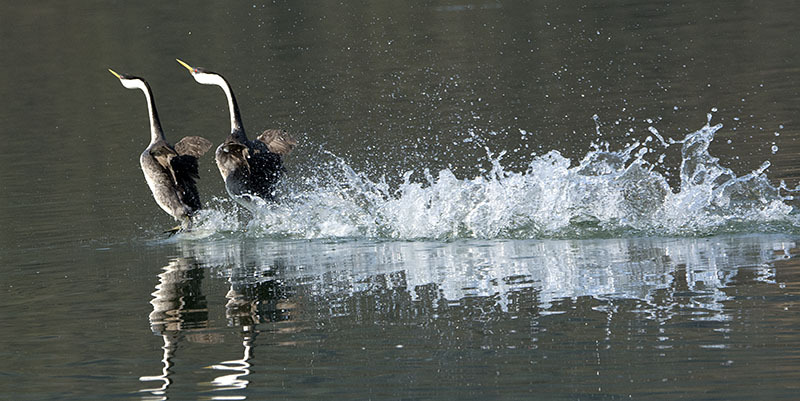 Western Grebe #28 - ...and, finally, the "dance".